I feel like ever since I got that apartment, I’ve been able to move forward. I haven’t had any more of those thoughts like, ‘okay, I’m giving up hope, I don’t know what to do anymore.’ Because I only went forward since then. I did it the wrong way so many times before. Because of Housing Transitions, I’m doing things the right way this time, and I’m excited about my future. One of the things I tell people is when they are in situations, like being homeless, is that Centre House is such a nurturing environment. There’s just love here. You can feel it when you walk in the door. I always felt that here. Housing Transitions shared a post. Thirty agencies, including Interfaith Human Services, Inc., Centre Safe, Housing Transitions and The Tides Program nominated their volunteers of the year. We have had an overwhelming response to our original post. A new bassinet will be delivered this week. And many other much needed items have already been promised. Many, many thanks for both caring and sharing! Less than 1 month until Centre Gives 2019!!! This event is designed to support the great work of local nonprofits serving Centre County. Be an HT Hero again this year with a minimum $25 donation. Last year our supporters raised a record $27,236! 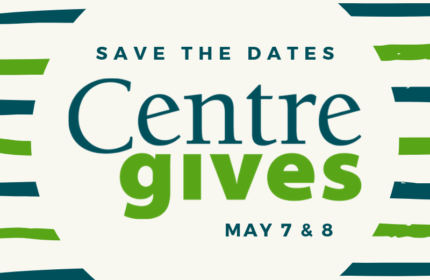 And thanks to the Centre Gives "stretch pool" that total grew to be $31,259 for our Centre House homeless shelter program!